BERLIN -- German new-car sales rose 2.7 percent last year to 3.44 million vehicles but registrations of diesel models plunged amid a threat of possible driving bans, according to the country's Federal Motor Vehicle Authority, the KBA. Registrations fell 1 percent in December to 253,950 vehicles because of two fewer selling days than in the same month a year earlier. Among brands with the strongest gains in 2017 were Mini with a 6.1 percent increase in full-year sales, Mercedes (4.8 percent) and Ford (2.8 percent. VW brand was Germany's top-selling marque despite sales declining by 3.3 percent over the year. Opel and BMW sales were flat. Download PDF, above right, for German sales by brand for December and 2017. The market share of diesel cars fell to 38.8 percent from 45.9 percent in 2016. Gasoline cars' share was 57.7 percent, up from 52.1 percent. 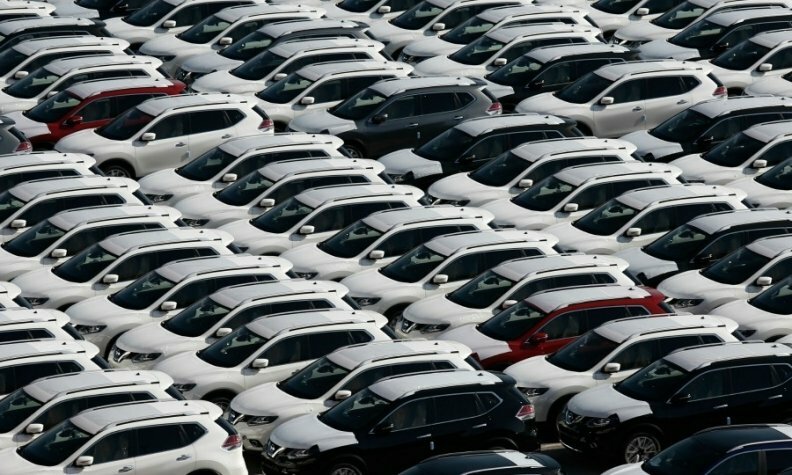 Sales of diesel cars fell 13 percent to 1.34 million while gasoline-car sales rose by 14 percent to nearly 2 million, according to the VDIK vehicle importers association. Pressure is growing on Germany to tackle diesel pollution as dozens of cities including Munich and Stuttgart, where BMW and Daimler are based, could face penalties for allowing nitrogen dioxide (NO2) levels in excess of European Union limits introduced in 2010, the DUH environmental lobby has said. The December sales decline in Germany mirrors falls in Italy and France where monthly sales fell 3.2 percent and 0.5 percent respectively. Registration of diesel cars in France fell below 50 percent last year for the first time since 2000.